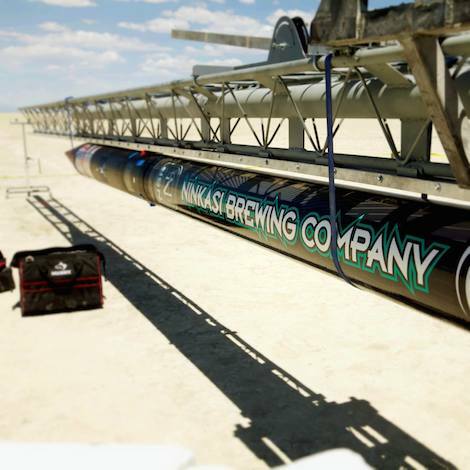 Portland's Ninkasi Brewing is sending rockets full of live yeast above the earth’s atmosphere. Space beer to follow. In the quest to push the boundaries of creativity, craft brewers have made beers at the bottom of the ocean, harvested yeast from human beards, and packed ales full of unexpected ingredients like Mangalitsa pig heads and bull testicles. But just as space was once the final frontier for man, it now seems to have become a source of fascination for beer makers. Wired has a fascinating breakdown of the various efforts to experiment with beer and the cosmos, including Dogfish Head’s brewpub-only Celest-jewel-ale, made with ground-up lunar meteorites, and Sapporo’s 2006 project in which the Japanese brewery created a beer with barley that had lived on the International Space Station for five months. Coors has gotten into the mix as well, testing the effects of gravity on fermentation. Unfortunately, this rocket was never found, and the search was called off once the time window of the yeast surviving had passed. But Ninkasi and and their partners in the mission, Civilian Space eXploration Team and Team Hybriddyne, may improve the capsule and try again. “For me this is a process of being on that frontier of trying something new for beer with relation to yeast and its viability in space,” Ninkasi co-founder Jamie Floyd told Wired. It’s the idea that potentially if you could preserve and protect yeast as you travelled out beyond the Earth into other areas and keep it in a state that was viable and controllable, you could then use that to do what originally was done throughout human history in terms of creating a potable life-sustaining source of nourishment that allowed you to live in inhospitable conditions, and also brought you joy and happiness. 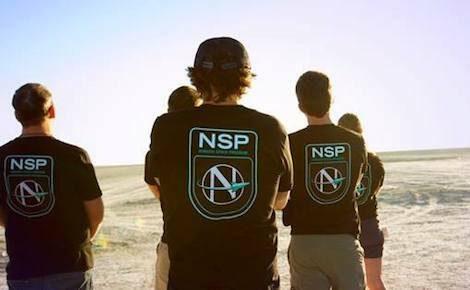 You can learn more about the experiment and the science of yeast at nsp.ninkasibrewing.com.